Andy Hughes, El Segundo, Los Angeles, California. Photograph. 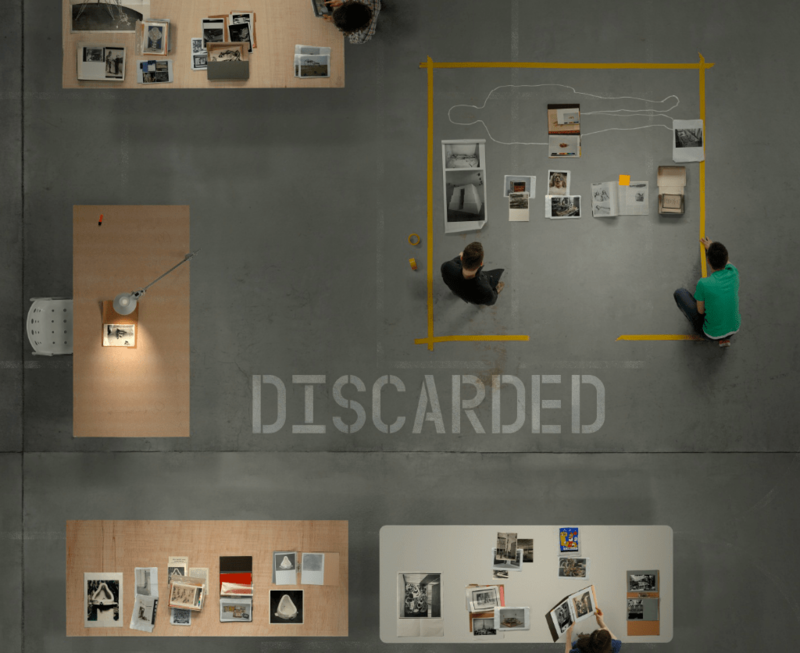 This is a list of art and artists who do not only work with discards (a fairly common practice), but whose ideas, content, and methodologies are discard studies in and of themselves. This is only a short list; if you would like to recommend additional art, artists, or exhibitions, please leave a comment below. Pieter Hugo. 36. Yakubu Al Hasan, Agbogbloshie Market, Accra, Ghana 2009. Photograph. Pieter Hugo: “Permanent Error,” documentary photography of an e-waste dump. 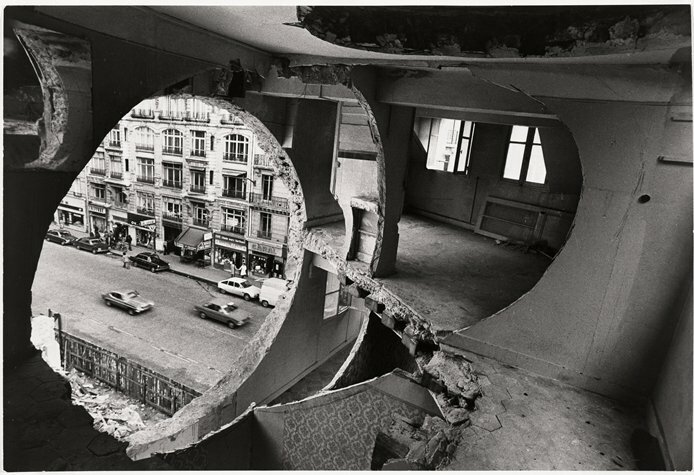 Gordon Matta Clark, Conical Intersect, 1975. Mie Olise: Paints with toxic pigments, and makes installations of/with abandoned spaces. Smudge Studio: where the geologic and the human converge. 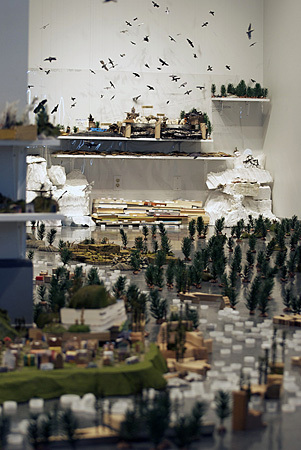 Max Liboiron, Abundance: The Dawson City Trash Project, 2008. Aw, Zinkie. (2012). Republic of Pulau Semakau. Photography. Binder, Justin. (2011). Dumpster Drive. Digital software. Blommaert, Brandon Jan. (2009). Virtual Trash Sculptures. Collis, Susan. (2008). Love is A Charm of Powerful Trouble. Wooden broom, white opal, yellow opal, Brazilian opal, cultured pearl, freshwater pearl, mother of pearl, white diamond, black diamond, sapphire, garnet, ruby, labradorite, moonstone, white howite, jadeite, citron cyrsoprase, turquoise, peridot, emerald. Elkins, Willis. (2010-2011). New York City Lighter Log. Discarded lighters, maps. Freeman, Christina. Plums for Trash. International trash exchanges. James, Valerie. (n.d.). Migrant Trash. objects found in borderland deserts. Jordan, Chris. (2006-present). Running the Numbers: An American Self Portrait,series. Photographs. Korda, Serena. (2011). Laid to Rest. Dust, performance. Leech, Gwyneth. (2008-2009). Cup Drawings. Disposable cups, markers. Leis, Heikki. (n.d.) Afterlife series. Photographs of mould. Levi, Stacy. (2000). Mold Garden. Glass, growth medium, mould spores, stainless steel hardware. Noble, Tim and Sue Webster. (1997-2006). Various Shadow Sculptures. Light, trash. Otero-Pailos, Jorge. (2009). The Ethics of Dust: Doge’s Palace. Latex and dust. Palmer, Angela. (2009). Breathing In. 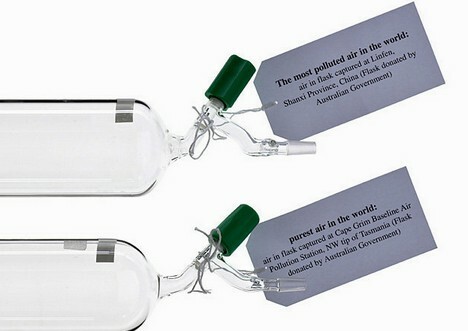 Air, pollutants, mixed media. Phillips, Sarah Nicole. (2011-present). Curbside Object Status Tags. Silkscreened cards. Pistoletto, Michelangelo. (1967, 1974). Venus of the Rags. Marble and textiles. Premo, Mac. The Dumpster Project. Objects, dumpster. Sensible City Lab. (n.d.). Trash | Track. Multimedia project. Stacy Levy. (2000). Mold Garden. Glass, mold. Stookey, Nathaniel. (2007). Junkorchestra. A symphony in three movements, for 30 or so “instruments” created from trash. Tratnik, Polona (2006). Microcosm. Mold, bathroom fixtures, artist’s bodily bacteria. 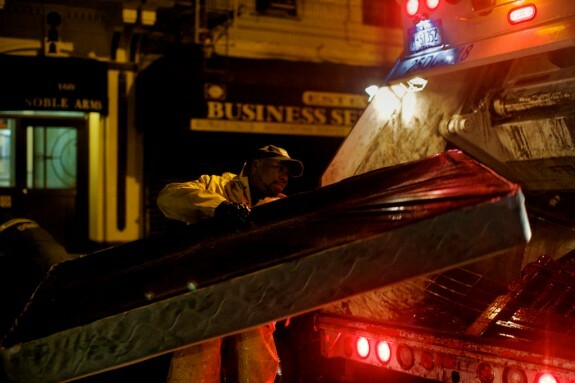 Chasing Sanitation: Falling in Love with New York’s Strongest. 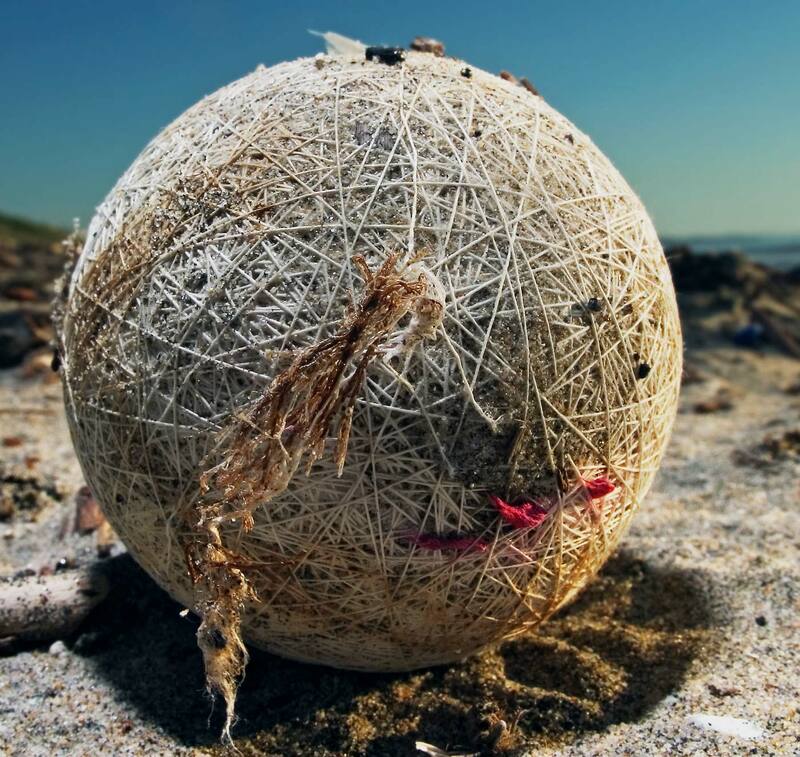 Design Squish Blog: Upcycling materials to bring former trash into domestic and everyday spaces. FridgeFungus.com: The name says it all. Gallery of Lost Art: An archive of Unrealized, Ephemeral, Rejected, Stolen, Discarded, Transient, Erased, Lost, Missing, Destroyed, and Attacked art. Junk to Funk: fashion show. Landfillart: an international effort encompassing one-thousand-forty-one (1,041) artists to claim a piece of rusted metal garbage and create fine art. Museum of Synthetic Preservation: salvation and storage of (waste) materials around the museum. Trans Trash: Understanding Waste Streams. Universal Warning Sign: Yucca Mountain. Gallery of Lost Art, Tate Modern online. one to check out! and maybe link to discard studies? ?